This is a great quick and easy recipe and a great healthy alternative to store-bought frosting. My husband and children love this frosting, and it's also a hit at my PTA meetings. 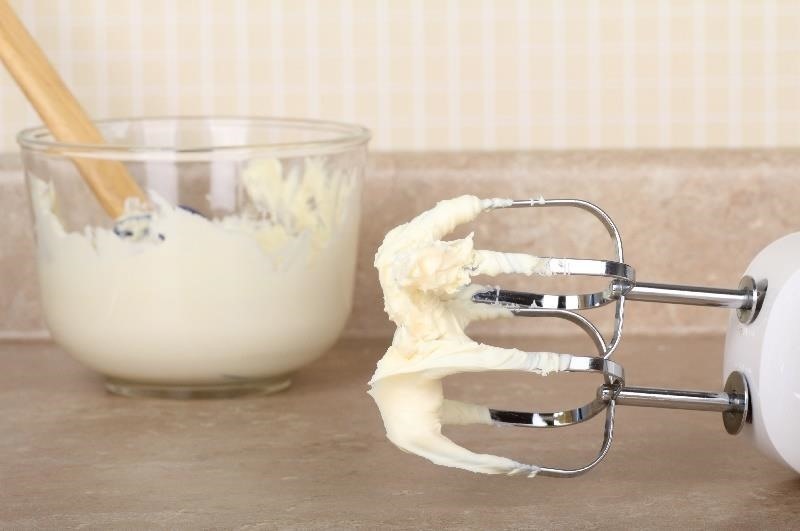 It goes great on cakes, cupcakes, cookies, or anything you desire to put frosting on. I made this recipe because I wanted to limit the amount of preservatives I feed my family. I love making things from scratch that can be made healthier at home. It also tastes much better than anything I have tried off the shelf. I find that to be true with everything I make from scratch with more natural ingredients. You don't have to use organic ingredients. I don't, but you can if you desire. Thank you for reading this article, and I hope you enjoy this recipe. Add 1 stick of softened butter to a large mixing bowl. Slightly mix the butter and vanilla extract together. Now add the 4 cups of powdered sugar to the bowl. Slowly mix all of the ingredients together. This recipe is meant to be made with a tabletop or hand mixer. This frosting should not be runny. To those of you who are using a tabletop mixer, please be sure to use the wisp attachment. If you somehow make it too runny, add more powdered sugar. Be sure to mix all ingredients gradually. This recipe reminds me of when I was little and watched my mother make her homade cakes, we were 12siblings and that was a lot of baking so it all was home made even bread!! So I made this today. I changed it a little bit. I halved the recipe for starters, also I used refined coconut oil instead of butter and I used about 1 1/3 cup of powdered sugar because I do not like supersweet frosting. Also I added lemon extract to the mix along with the vanilla. It really makes the strawberry cupcakes I made pop. It was just enough for the 12 cupcakes and loaf cake that I got out of the recipe. I used this recipe but dabbled a little bit of whipping cream to make it more whipped and it worked perfectly! Your recipe is so simple and easy to prepare. Thanks for sharing I really loved it. Will try it and add it on my blog.. I halved this recipe and it never went from a powered mixture to a frosting texture. Definitely would not recommend this for the people that are going to cut it in half. Didn't work well for me.